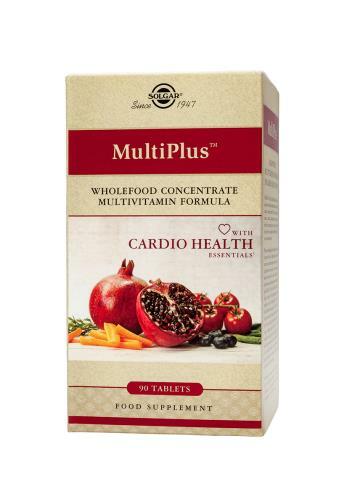 MultiPlus™ with Cardio Health Essentials is the next generation in wholefood based nutrition for overall vascular health. With a broad spectrum of vitamins, minerals, phytonutrients and energy-rich wholefood concentrates, you can get the benefits for heart, vascular and whole body health in one convenient complex. SUGGESTED USE: As a food supplement for adults, three (3) tablets daily, preferably at mealtime, or as directed by a healthcare practitioner. If you are taking any medications, planning any medical or surgical procedure or have any medical condition, please consult your healthcare practitioner before taking this product.